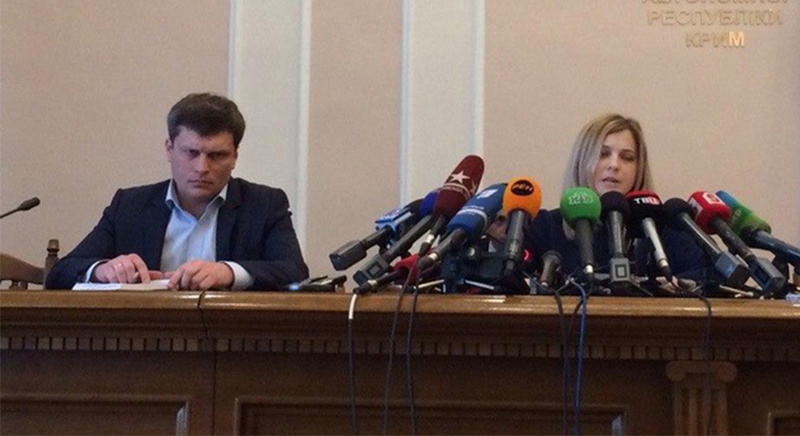 The Brief: An image of a man and a woman being interviewed at a press conference has become a meme template that shows how certain people and things receive unequal amounts of attention. The image is of a press conference in which a disgruntled looking man sits in front of a single microphone next to a woman with over a dozen microphones in front of her. The original origin of this photograph is unknown, but it appears that the interview took place in Russia. The photo previously circulated online with the caption “online dating in one picture.” More recently, meme-makers have labeled the man and the woman so that they represent two different things. The idea is that one thing –the woman, receives significantly more attention and publicity than the other – the man, even if the two things are of similarly important and attention-worthy. Some variations of this meme use it to represent perceived differences between how men and women are represented in media and society. Captions for the memes include variations of the sentiment that “it really do be like that sometimes.” This man vs. woman microphone meme is particularly popular on Reddit.